Fort Rinella is one of a series of four coastal batteries built by the British in Malta and in Gibraltar between the years 1878 and 1886. The purpose for building these forts was for each of them to house an Armstrong 100-ton gun. The building of these forts was necessitated by Britain’s fear of losing her naval superiority in the Mediterranean to Italy, who was at the time rebuilding her navy to an unprecedented strength. In 1873 the Italian navy launched a class of two very powerful battleships: the Duilio and the Dandalo. These battleships were protected by 22 inches of steel armour, and four Armstrong 100-ton guns were mounted on each ship. Once completed, these battleships out-classed anything which other navies possessed. 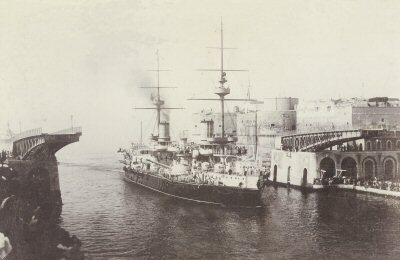 The British were always sensitive to naval developments in the Mediterranean, more so since the opening of the Suez Canal in 1869. By maintaining her supremacy in the Mediterranean, Britain could make sure of the vital route to India via the Suez Canal. In the light of all this the emerging of a powerful Italian Navy was regarded as a potential threat to British interests in the Mediterranean. In order to better assess the situation a military commission was sent to Malta and Gibraltar to investigate the preparedness of the coastal defences of these two important naval stations in the light of the threat posed by the Italian navy. The recommendation of this commission was that two 100-ton guns be placed at Malta and another two at Gibraltar. In Malta two sites, at the mouth of the Grand Harbour, were identified to mount the 100-ton guns. Two batteries of a standard pattern were built. 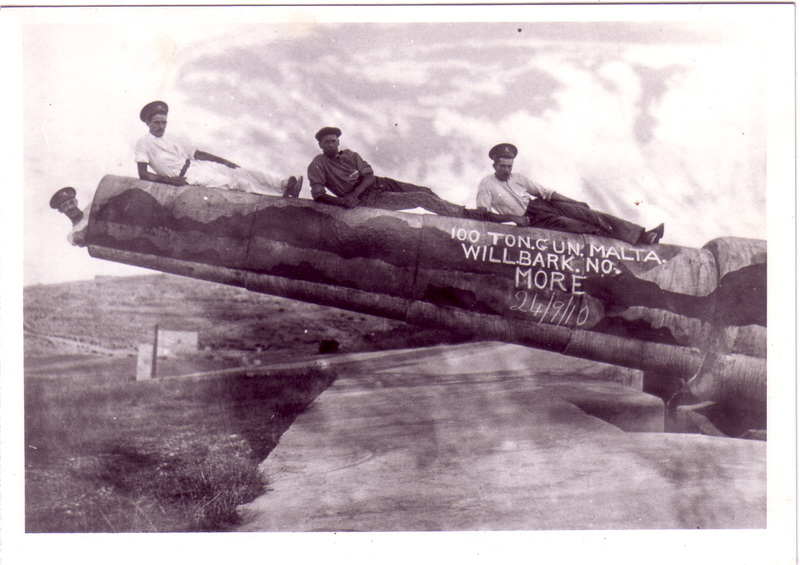 One of the batteries was built at Sliema and the other was built at Rinella. The overall design of each battery was that of an irregular pentagon surrounded by a deep ditch, which was enfiladed by three caponiers and a counter-scarp gallery. The forts were built on two levels – underground were the magazine and two loading-chambers; at ground level were the accommodation area and machinery chambers. 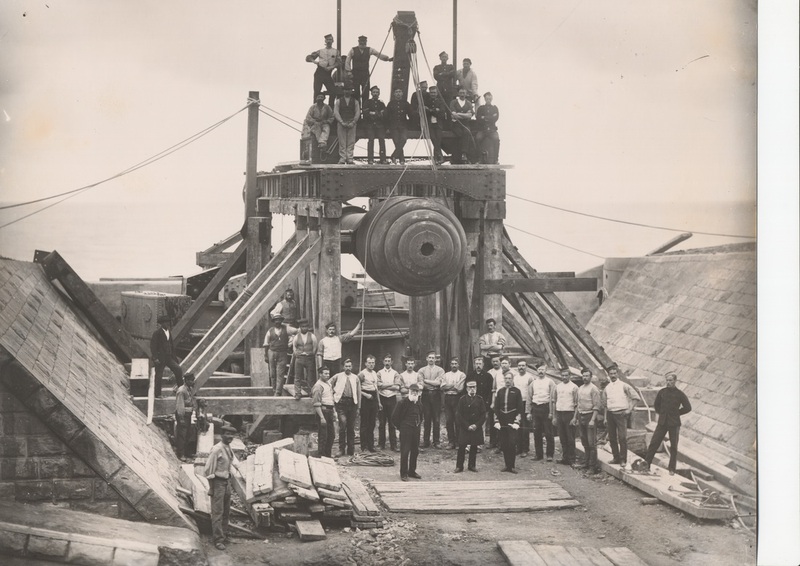 The 100-ton gun presently at Fort Rinella arrived in Malta from Woolwich on 10th September 1882. After some months the gun was ferried from the Dockyard to Rinella Bay from where it was transported to Fort Rinella. The gun had to be manhandled all the way to the fort. The operation, which involved about 100 men from the 1st Brigade Scottish R.A. Division, lasted three months. Finally in January 1884 the gun was brought into position and was ready for use. The gun was mounted en barbette on a wrought-iron sliding carriage. In this position the gun fired over the top of the parapet of the emplacement without the need of exposing the gun-crew to enemy fire. Given its massive proportions the gun could not be worked manually, therefore an ingenious hydraulic system was used to traverse it and to load it. This makes Fort Rinella the first battery to have had a gun worked by mechanical means. After the fort was completed in 1886, War Department inspectors visited the fort and found that the design needed alteration in order to render it more effective against bombardment. Consequently most of the masonry riveting within the emplacement was removed and two musketry positions on the roof were completely filled in with earth. Modifications were also carried out to the gun’s machinery so as to render it more efficient. In 1906, after just twenty years in service, the 100-ton guns in British service were declared obsolete. As a consequence of the 100-ton gun being phased out, Fort Rinella was stripped of all its machinery and abandoned. The 100- ton guns had never fired a shot in anger. Up till the mid-1930s Fort Rinella served as a Position Finding Station for nearby Fort Ricasoli. Thereafter the fort was handed over to the Admiralty who surrendered the property to the Government of Malta in 1965.